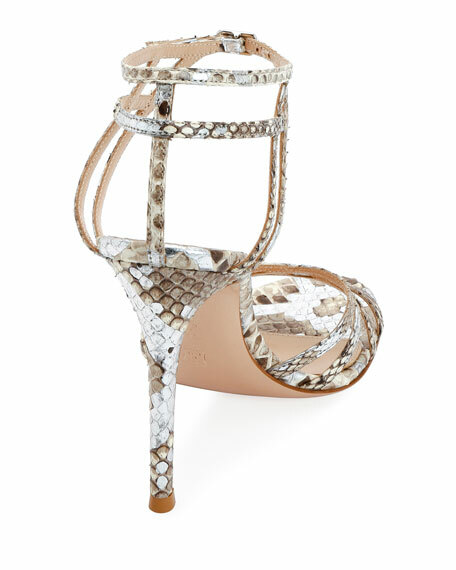 Gianvito Rossi metallic python snakeskin sandals. 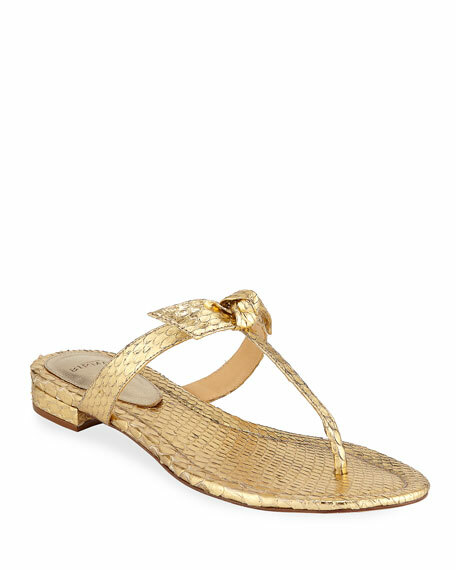 Woven straps band open toe. 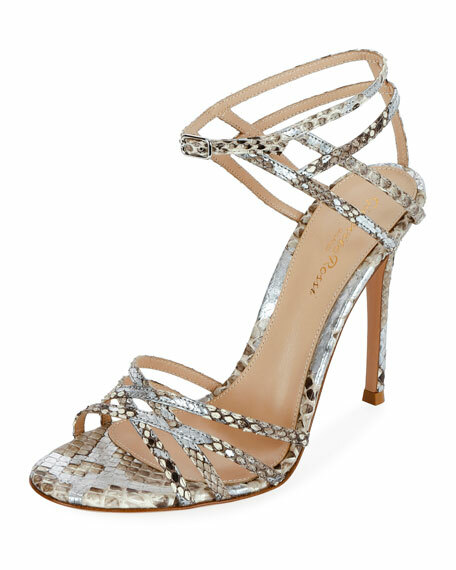 Alexandre Birman sandal in metallic python skin. 0.8" flat heel. Open toe. T-strap vamp with knot detail. Leather outsole. Made in Brazil. 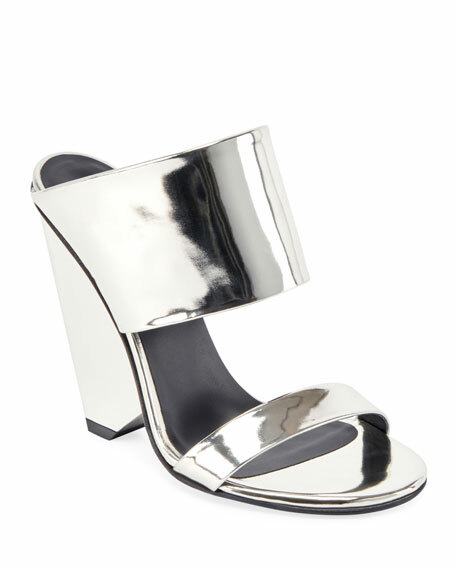 Balmain "Lori" shiny metallic leather sandals. 2.3" transparent logo-embossed cone heel. Strap bands open toe. Slide style. Leather lining. Smooth outsole. Made in Italy. Gianvito Rossi sandals in PVC and calf leather. 4.3" covered stiletto heel. Strap bands open toe. Double buckled vamp. d'Orsay silhouette. Leather lining and sole. Made in Italy.